Doncaster Rovers have reached an agreement with Dany N’Guessan for the forward to leave the club. N’Guessan has been training with the youth team since being transfer-listed by boss Darren Ferguson at the end of last season. The club had hoped to secure a transfer for the Frenchman before the end of the summer window but there was no interest according to Ferguson. And while several National League clubs expressed an interest in taking him on loan, the 29-year-old did not show the same desire. Ferguson has revealed Rovers are now close to finalising an agreement to release N’Guessan from his contract. And he insisted he would not look to halt the agreement, despite striker Andy Williams being ruled out for up to ten weeks. He said: “There’s been a deal agreed for him to leave. N’Guessan joined Rovers on a free transfer after being released by Greek side AEL Larissa in July 2015. 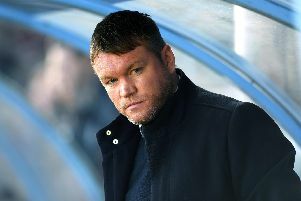 He made just two starts and seven substitute appearances last season, and only three appearances off the bench following Ferguson’s appointment as Rovers manager in October. N’Guessan was hampered by a series of niggling injuries include an issue with his toe.